New hospital-acquired condition (HAC) penalties may further impact your hospital’s ability to provide the level of healthcare you strive so hard to achieve. 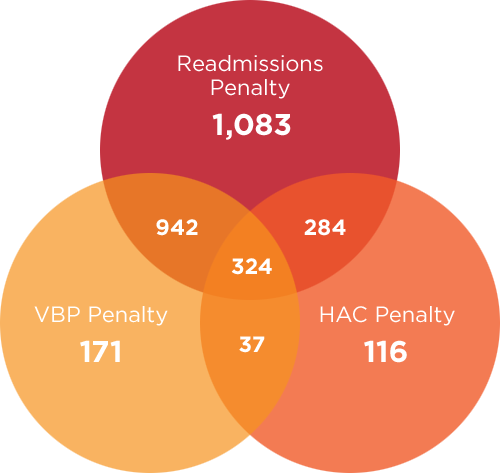 An estimated 2,500 facilities could see reduced payments based on the combined influence of readmissions adjustments and Value Based Purchasing (VBP). Projections show approximately 577 hospitals will suffer revenue losses compounded even further by an additional 1% HAC penalty, based on the proposed rates. Nearly 10% of affected hospitals could be penalized under pay-for-performance guidelines. All cardiothoracic hospitals can immediately reduce their total cost of care by adopting PleuraFlow® Active Clearance Technology® (ACT). Here is an estimate of cost savings based on hospital size.